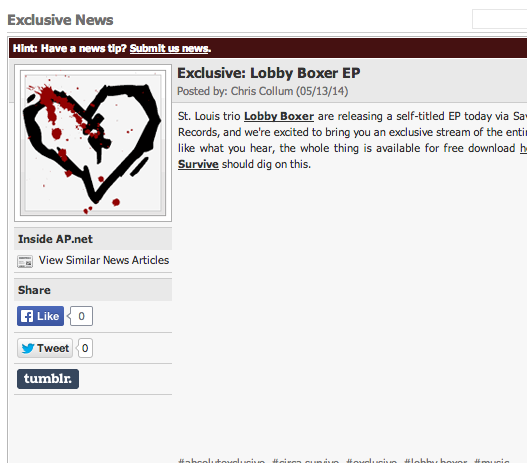 The long anticipated self titled EP from St. Louis rock dudes Lobby Boxer, is now here and has premiered over at AbsolutePunk. Be sure to check that out. 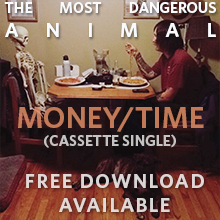 If you want to fill your collection with 5 tracks of immediate awesome, you can now download the EP here for free! Just enter 0 when you choose your price, although we wouldn't complain if you donated something to the cause. Recording and releasing records isn't cheap, you know.